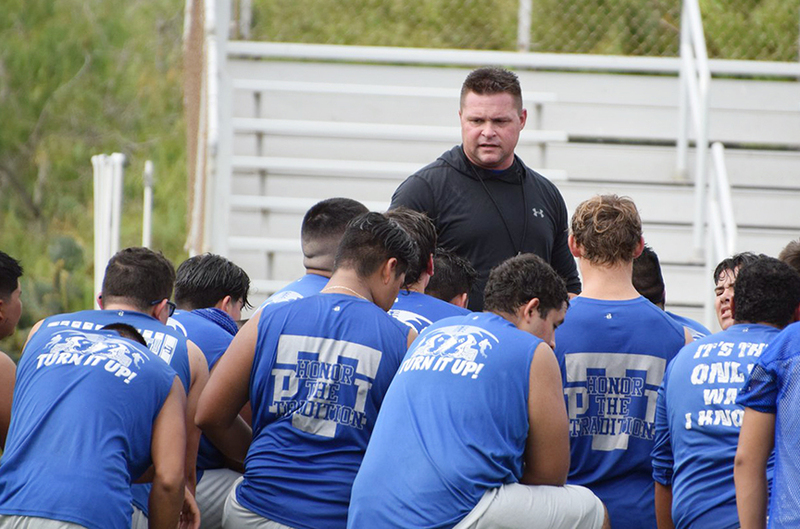 Tarpon football practice got underway this week and not a day too soon. Preparations for the next season always start almost as soon as the previous season comes to a close. And when the previous team ended the year with only two wins, that makes the sense of anticipation for the upcoming season all the more intense. The PRESS sat down with new head football coach Jason Strunk in his office this week and he shared his thoughts on the first two days of practice. “It’s been good,” Coach Strunk told the Press Tuesday. “Yesterday, it was a lot of learning, figuring out the practice format, because it’s totally different. Today we went out there and practiced together like we’ve been working together for five years,” he said.